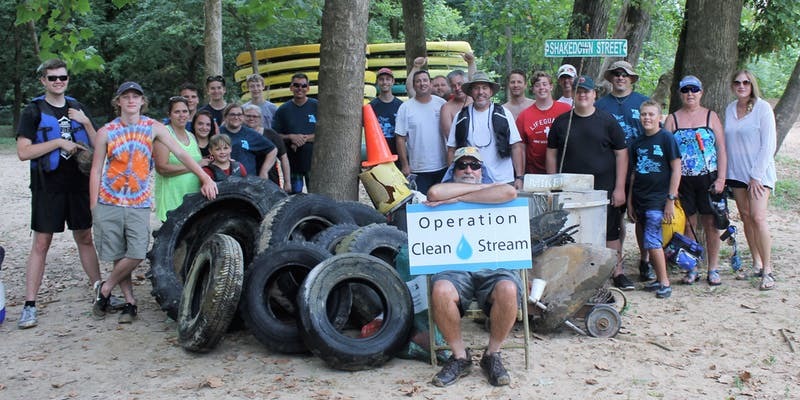 Join us for Operation Clean Stream at Ozark Outdoors on June 2nd! Volunteers must register here and call Ozark Outdoors at 800-888-0023 to reserve your canoe. Be sure to let them know that you are with Operation Clean Stream. The morning of the event, meet at the Paddlers Grill for breakfast between 8am – 9am. Volunteers will remove trash, tires, and debris from the river. The Open Space Council is excited to host our 52nd Annual Operation Clean Stream! This is our premier event in which annually, along with the help of our volunteers, we remove tires, debris, and metals out of the Meramec River Watershed in order to improve overall water quality. Join us this year as we celebrate over 50 years of improving Missouri rivers and open spaces! Special thanks to our partners! This event is sponsored in part by: Missouri American Water, Metropolitan St. Louis Sewer District, Great Rivers Greenway, Ozark Outdoors, Missouri Stream Teams and so many more listed on our website www.openspacestl.org/ocs! In case of inclement weather, the backup date for this event will be Sunday June 9th. 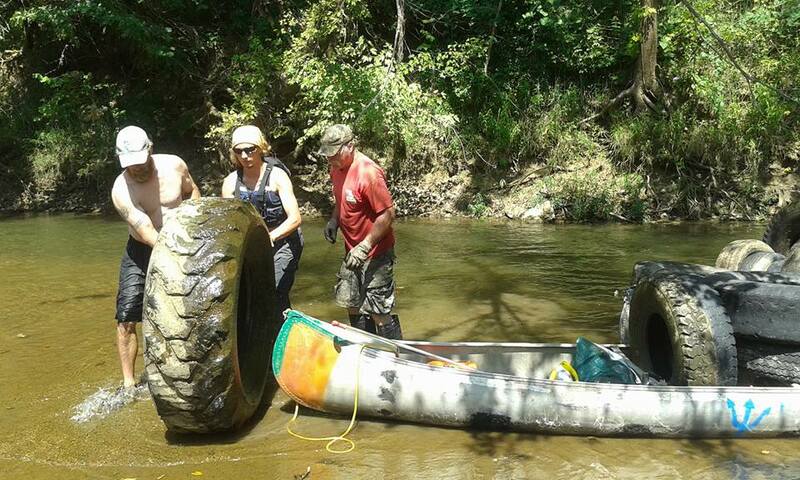 Come out to remove trash, debris, and tires – like this one – from the Meramec River!